So will the river dry up? 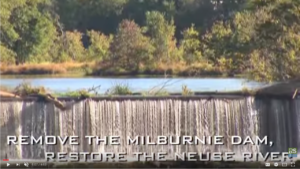 No… the narrow lake above the dam will be restored to a naturally free-flowing river. The best way to imagine what it will look like upstream of the dam’s current location after removal is by picturing what the Neuse River looks like below the dam today. https://milburniedam.com/wp-content/uploads/2017/11/RS-logo-340x156-300x138.png 0 0 admin https://milburniedam.com/wp-content/uploads/2017/11/RS-logo-340x156-300x138.png admin2011-10-20 11:01:452011-10-20 11:01:45So will the river dry up?